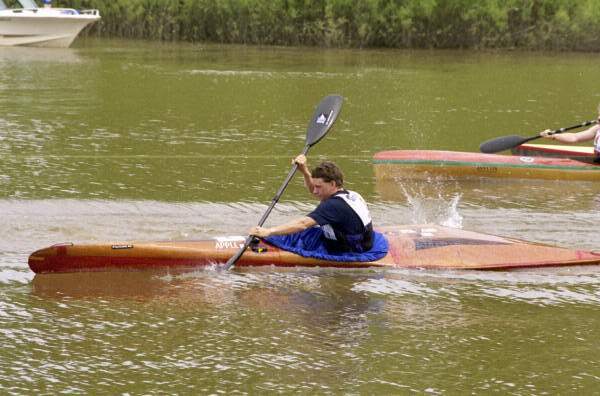 This upcoming weekend marks the 33rd annual Outdoors Inc. Canoe and Kayak race in Memphis, Tennessee (OICK Memphis). The past competitors include Olympic medal contenders, World Cup Champions, local ‘legends’, and recreational paddlers alike. 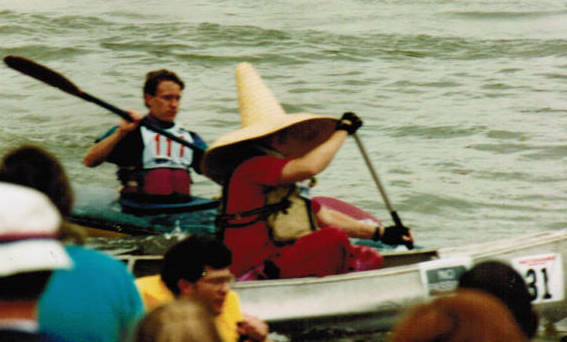 While the majority of the participants paddle in the race to enjoy a glorious day on the Mississippi with friends and family, a few come prepared to race in hopes of beating the course record or finishing with a personal record (PR). Among these avid competitors, Memphis’ local paddler Elmore Holmes plans to beat his current PR of 16 minutes and fifty-three seconds. 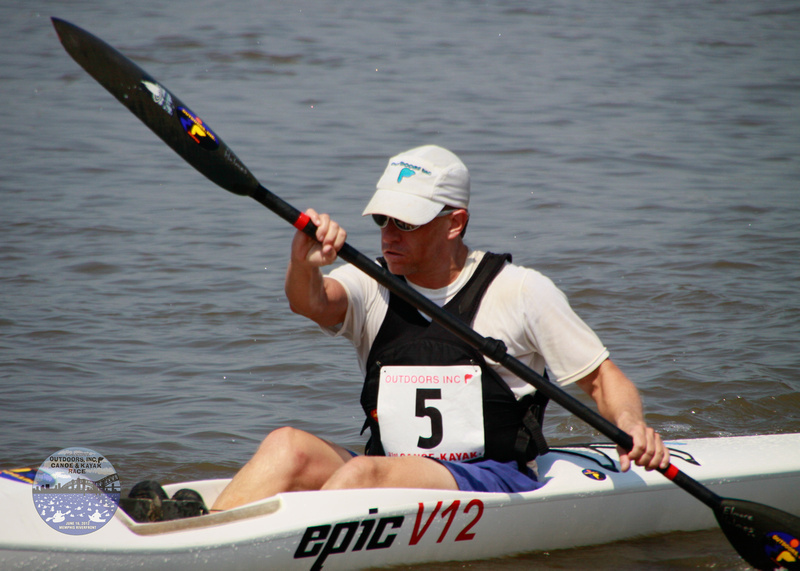 Elmore Holmes has been competing in the OICK Memphis since 1994 and will be paddling in the race for his 19th time. Like most paddlers, Holmes was introduced to paddling during summer camp at age thirteen. As he grew, Holmes continued to run rivers in North Carolina and Tennessee, as well as others around the United States. He began competing in his mid-twenties in whitewater slalom events. 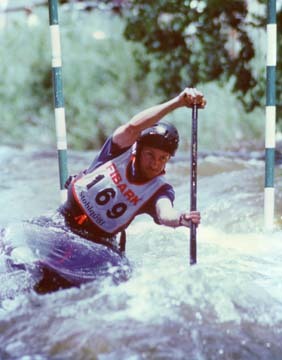 In 1992, Slalom Canoeing became an Olympic sport and Holmes set his sights on qualifying for the National team in 1998 and 1999 and then the Olympic trials in 2000. In most recent years, Holmes has focused on the open-water style of racing featured in the OICK Memphis race. This season, he has won the Bluz Cruz race on the Mississippi River at Vicksburg, MS, and the Battle on the Bayou race in Ocean Spring, MS. He considers the OICK Memphis to be the highlight of the season. While Holmes emulates the likes of Greg Barton and Mike Herbert, who have both finished the course in under 15:40, he strives to improve his time each year. He focuses on making technical improvements, as compared to simply muscling through the race. By focusing on these factors, he continues to improve his time. 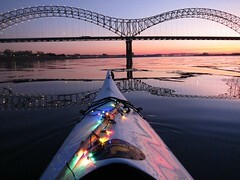 Holmes prefers the OICK Memphis distance because he believes he has to train for multiple aspects of paddling to be successful. The race is a combination of speed and endurance. Holmes believes that, “the thing to enjoy the most is not winning but the actual process. Enjoy the days spent in the boat, trying to perfect techniques instead of only focusing on race times.” This ideal is very similar to that of one of his heroes, five-time whitewater slalom world champion Jon Lugbill. While Holmes enjoys competition immensely, he also enjoys teaching others about his passion. 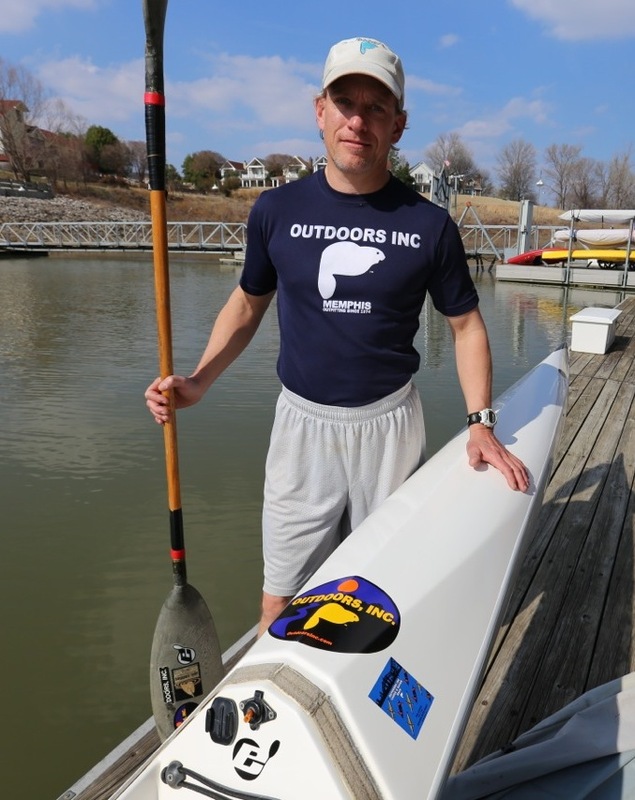 Outdoors, Inc. enjoys the privilege of having Holmes teach its paddling classes. He is American Canoe Association (ACA) certified at the Coastal Kayaking Level and continues to perfect his paddling skills. During his classes at Shelby Farms, students learn proper paddling strokes, rudder use, proper foot pedal adjustment, and much more, while enjoying Memphis’ largest urban park. When advising others who wish to make improvements in their paddling, Holmes expresses that, “it is better to paddle forty-five minutes, five days a week, than eight hours on a Sunday.” During longer paddles, muscles fatigue and start to ache, causing improper paddling strokes. *OICK Memphis occurs on June 14,2014 followed by a festival on the Mississippi Rive in downtown Memphis. Registration closes on Friday, June 13th.The following Sunday, a boat Demo will occur at Shelby Farms on Pine Lake. For further details, please contact any Outdoors, Inc. location or comment on the post. *Sign up for Elmore Holmes’ kayaking and canoe classes at the Outdoors, Inc. on Union. Please call 901-722-8988 or stop by to sign up. Written by: Marie Mason, Outdoors, Inc. This entry was posted in Uncategorized and tagged Elmore Holmes, Inc., memphis, OICK, Outdoors, Outdoors Inc. Canoe and Kayak Race, Paddling. Bookmark the permalink.